Now Accepting: Scholarship Submissions – Apply Today! Are you a student pursuing higher learning opportunities in Culinology®? If you answered “yes,” you may be eligible to receive a scholarship from the Culinology® Education Foundation! Learn more about this valuable opportunity to support your Culinology® education. Deserving students will be awarded the scholarships at the RCA Conference. You Still Have Time to Help Drive the Vision of RCA – 3 Weeks Left! Are you an active professional member of RCA? Position your company and yourself as an industry leader by submitting a Board candidate application! 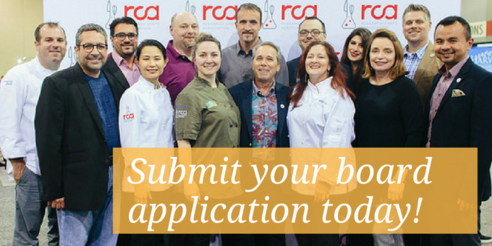 As an RCA Board member, you’ll help set the long-term strategic direction for RCA and make decisions that bring increased value to all members. We are excited to be partnering again with Chef Charlie Baggs to offer two iterations of the in-depth workshop, “Classic Cooking Techniques: Culinary Arts Fundamentals," this fall. 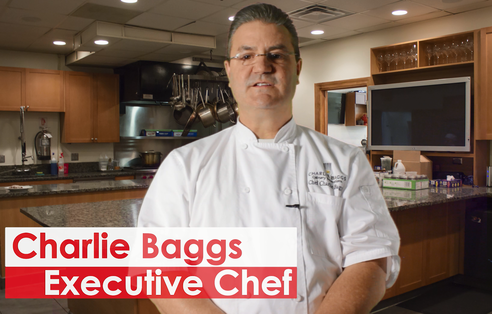 Join Chef Charlie Baggs at his kitchen in Chicago for one of the two upcoming workshops: Monday, September 24 through Friday, September 28 or Monday, October 15 through Saturday, October 20. This is a perfect opportunity to enhance your culinary skills and even help you prepare for RCA's CCS® examination by earning 40 contact hours towards CCS® certification. RCA’s Culinology® Expo attracts more than 1,200 top food industry professionals searching for the latest innovations and insights in food sciences and product development. 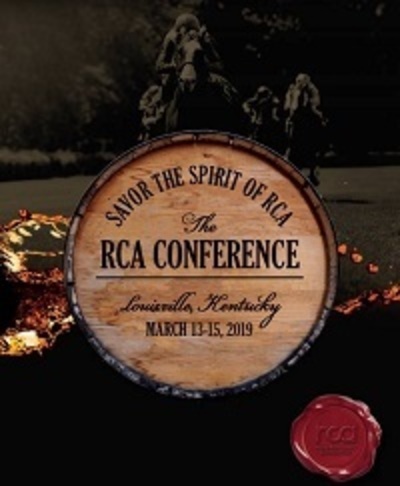 Exhibiting at the RCA Conference increases your profile in the food industry, drives new sales opportunities and provides access to decision makers with buying power. 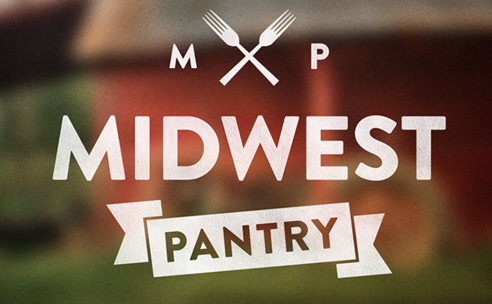 "How to Work With a Food Scientist"
Join the RCA North Central Region in partnership with the Midwest Pantry Association (MWP) for an event in Minneapolis, Minnesota, August 23 from 5:00-7:00 p.m. CT.
Attendees will mingle with local food entrepreneurs from the Twin Cities and listen to a panel discussion of food scientists around food product development and design.